Israeli Prime Minister Binyamin Netanyahu said Sunday that an operation to destroy a network of tunnels used by militants in Gaza could be over "fairly quickly" but would not be pinned down on specifics. In an interview with CNN's "State of the Union" weekly talk show, Netanyahu also called for an international effort to demilitarize the enclave. His comments came on day 13 of the deadliest assault on Gaza in five years and as Israel said its ground operation to destroy the network of tunnels used by the terrorists to stage cross-border attacks was to "expand" later Sunday. 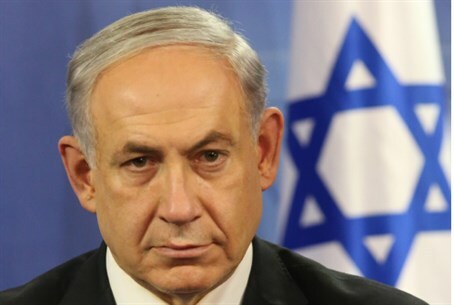 "We're taking action to neutralize the tunnels and do it as long as necessary," Netanyahu said. But when asked later how long the destruction of the tunnels would take, he responded: "Fairly quickly." "The important thing right now is not to begin to put terms. I think the important thing is to end the hostilities and then get into a situation where we have a sustainable ceasefire," he added. In that context, Netanyahu called for the demilitarization of Gaza. "Gaza, under all the previous agreements should have been demilitarized. Instead of being demilitarized it became an Iranian financed and equipped fortress of terror with thousands and thousands of rockets and other weapons being smuggled and developed in it. That has to stop. Those tunnels have to be shut down." "I think the international community has to, once this is put in place, we really have to undertake a program to demilitarize Gaza and to change the situation because it's unacceptable," he added. As Israel stepped up its offensive, 87 Palestinians were killed in Gaza, bringing the total number of casualties to 425, according to figures provided by an emergency services spokesman. On the Israeli side, the death toll stood at seven. As Netanyahu spoke in the interview, Hamas was in the midst of violating yet another “humanitarian” cease-fire that the terror group had requested. Via the Red Cross, Hamas asked for the cease-fire to allow it remove dead bodies from the Shejiaya neighborhood in Gaza, where fighting has been heavy since Saturday. After initial hesitation, Israel greed, and Hamas fired several rockets at Israel during the period of the cease-fire. In other interviews with foreign media Sunday, Netanyahu stressed that Operation Protective Edge would continue for as long as necessary. “After we ensure long-term quiet we will work with the international community to ensure the future of Gaza,” Netanyahu added.